Heavy alcohol drinkers attempt to acquire alcohol despite the threat of a negative consequence more so than light drinkers, a study in Biological Psychiatry: Cognitive Neuroscience and Neuroimaging has found, and this behavior is associated with unique activation of brain circuitry in heavy drinkers. The findings provide evidence for a “compulsivity circuit” that may drive alcohol-seeking behavior that is resistant to negative consequences, revealing potential targets for treatments to reduce compulsive alcohol use in heavy drinkers. First author Erica Grodin, PhD, and colleagues designed a task to assess compulsive behavior of heavy and light drinkers. In contrast to habits—which drive behavior automatically even when it’s no longer rewarding—compulsive behavior continues despite negative consequences. In the task, participants could risk receiving a painful electric shock to earn points for alcohol or food. Heavy drinkers tried to earn alcohol despite the risk for shock, whereas light drinkers tended to not take the risk. Both groups were willing to seek alcohol and food rewards when there was no threat of a shock. “This study is important because it is the first study to investigate compulsive alcohol seeking in a heavy drinking population,” said Dr. Grodin, adding that previous studies have used animal models to try to understand this behavior. Brain imaging conducted during the task revealed that heavy drinkers had more activity in brain regions associated with decision-making under conflict—the anterior insula and prefrontal cortex—and with habit and reward—the striatum. Imaging also revealed functional connections between two brain regions that were stronger in people with stronger compulsivity. “This study highlights the complex rewiring that takes place in the heavy drinkers brain. Circuitry associated with conflict, risk and aversion become associated with those that process rewarding experiences, and this is associated with increased risky choice behavior when alcohol is a possible reward,” said Cameron Carter, MD, Editor of Biological Psychiatry: Cognitive Neuroscience and Neuroimaging. The study was performed by researchers at the National Institute on Alcohol Abuse and Alcoholism, Bethesda, Maryland, Brown University, Providence, Rhode Island, and Linköping University, Sweden. The article is “Neural Correlates of Compulsive Alcohol Seeking in Heavy Drinkers,” by Erica N. Grodin, Lauren Sussman , Kelsey Sundby, Grace M. Brennan, Nancy Diazgranados, Markus Heilig, and Reza Momenan (https://doi.org/10.1016/j.bpsc.2018.06.009). 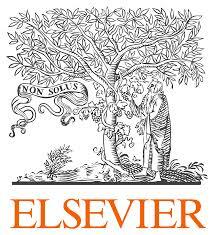 It appears in Biological Psychiatry: Cognitive Neuroscience and Neuroimaging, published by Elsevier.